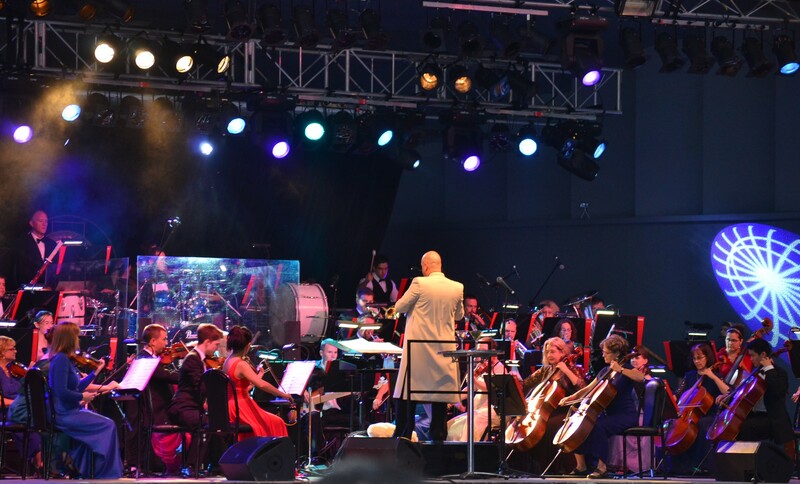 The Darwin Symphony Orchestra (DSO) is a community orchestra whose members are predominantly volunteers. It has a tradition of being innovative and accessible to the community, and making music “unstuffy”. 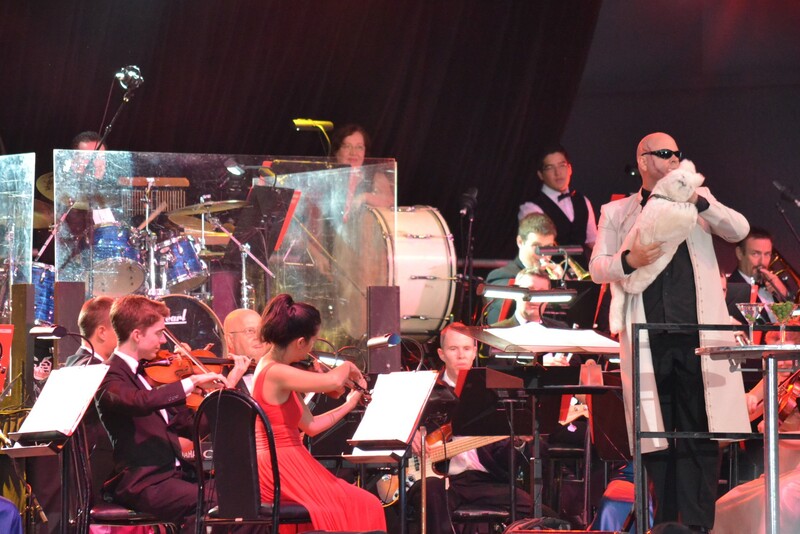 The DSO’s most recent concert, Licence to Thrill, was a musical recap of the James Bond movies. 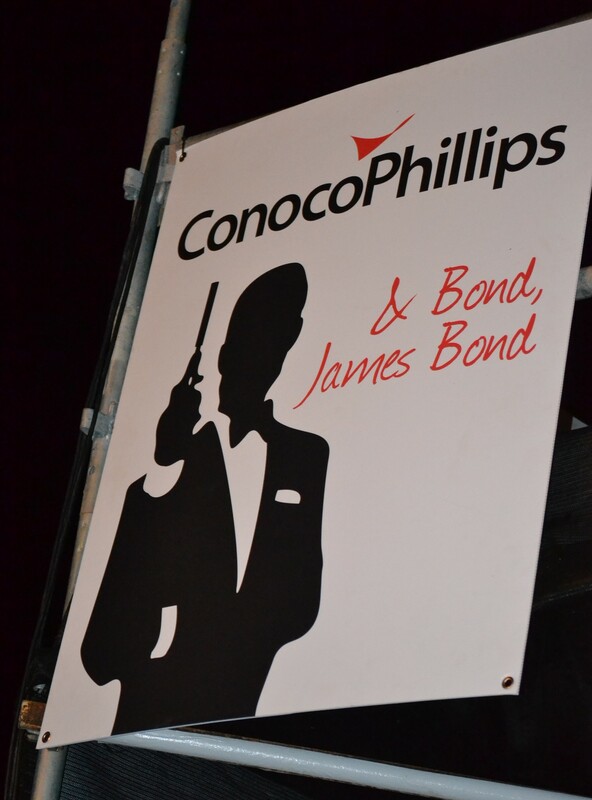 In a significant community commitment, the concert was sponsored by Conoco Phillips, providing the evening’s entertainment free of charge. 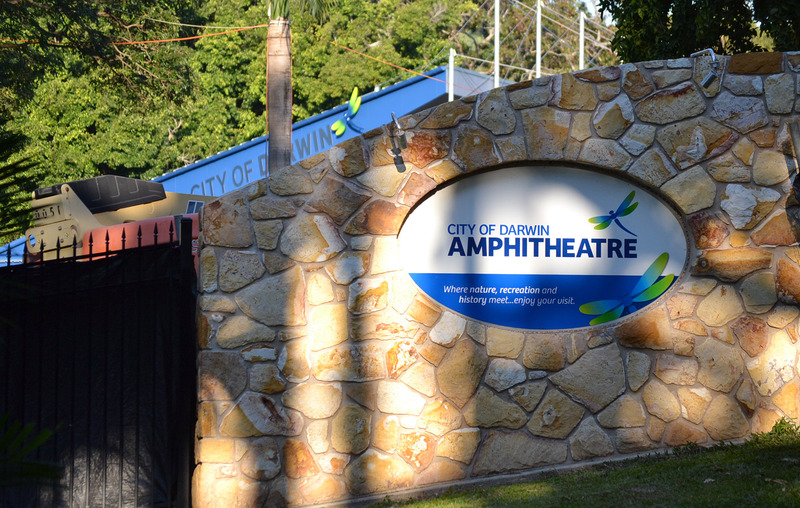 With the listeners spread out across the slopes of the Darwin Amphitheatre in balmy Dry Season weather last Friday evening it was a most enjoyable and fun evening. Apart from the music the highlights were a flyover by a light aircraft immediately prior to the concert, the arrival of not one but two Aston Martin cars (one a convertible), and the conductor playing the part of Ernst Stavro Blofeld. 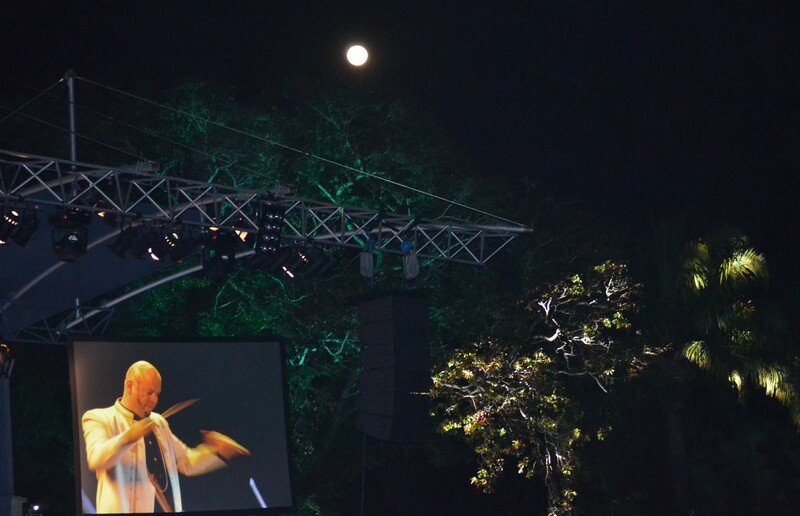 The full moon rising to the side of the stage topped off the pleasure of the evening.